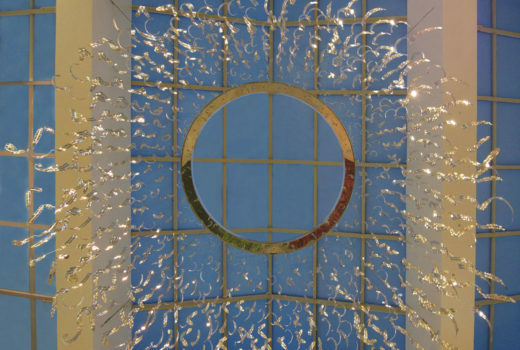 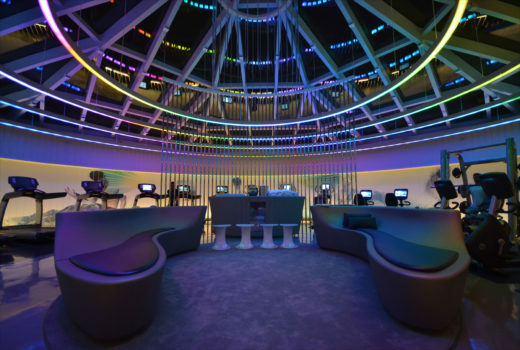 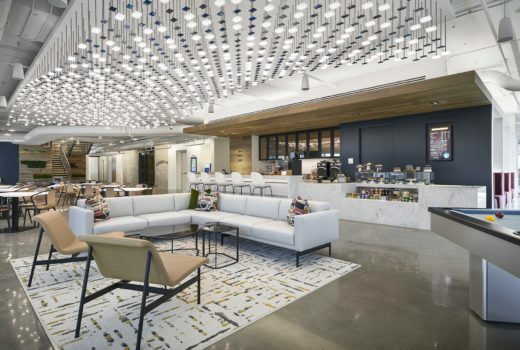 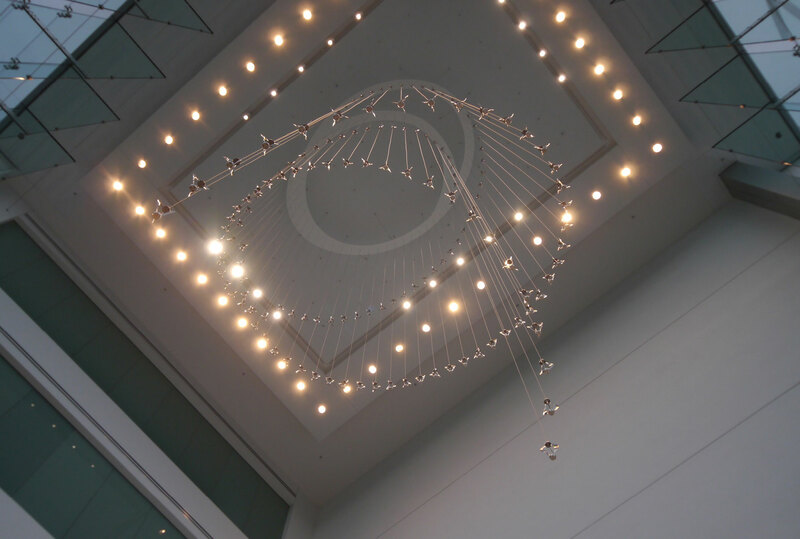 This chandelier for the entry lobby of Bayer’s headquarters in New Jersey combines references to science, life and technology—the core values of the company. 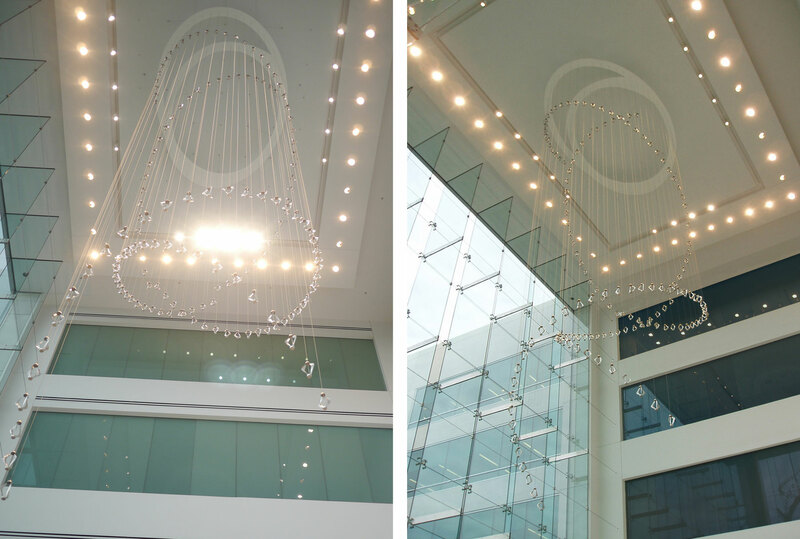 Its overall structure mimics DNA in the form of a double helix, traced by kinetic pendants made of brushed stainless steel. 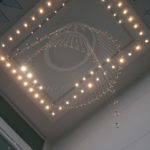 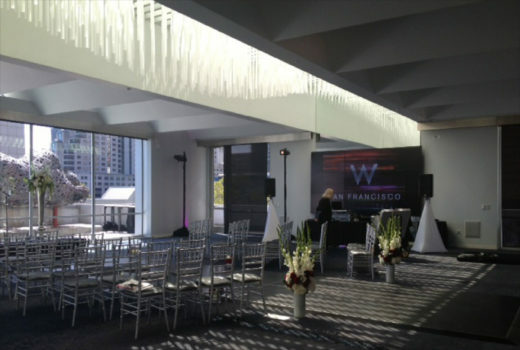 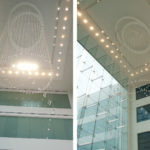 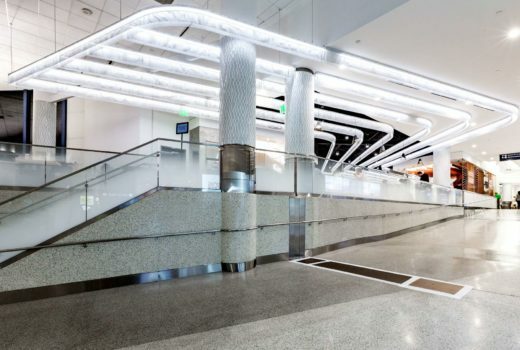 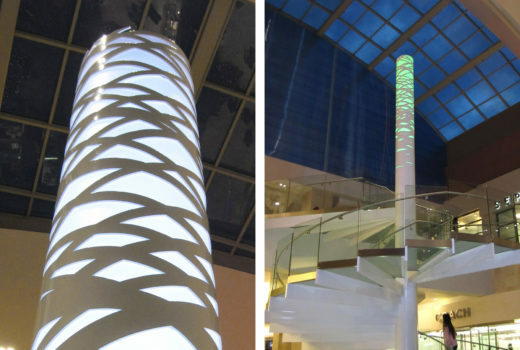 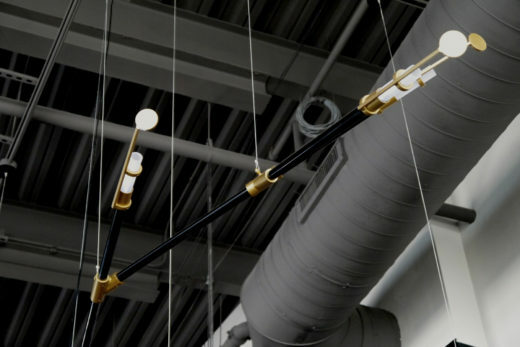 Each pendant spins at a tempo set by the velocity of the heating, ventilation and air conditioning system, registering the flow of air through the “lungs” of the building.